Your primary focus as a real estate investor is maximizing financial returns. Our commercial property management services division enables this by taking on the day-to-day supervision, administration, and maintenance responsibilities associated with investment property management. As part of the SVN family, we draw on national resources and expertise to offer you sound, consultative advice. Coupled with our specific knowledge of local and regional markets, we offer guidance throughout the investment cycle – due diligence, purchase, lease up, property management, tenant retention, and resale. We’ll help you understand your properties and the nuances of the markets in which they exist in order to maximize the value of your investment. 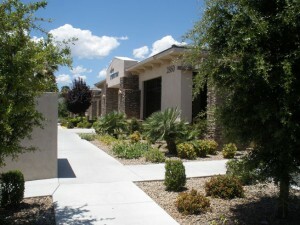 Our services will help develop comprehensive strategies for addressing your unique tenant and property related needs. These strategies will be based on your financial goals, with an eye on capturing potential market opportunities that might arise. 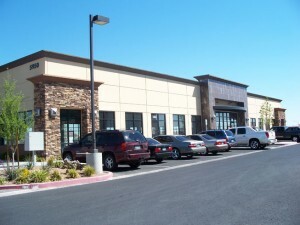 Our commercial property management services are always more cost efficient than our national competitors. We provide experienced, knowledgeable real estate professionals who can troubleshoot and problem solve with your profitability in mind. Our years of experience have allowed us to develop proven processes and procedures that utilize the best available technologies and organizational systems. This strong combination of people, process and technology is how we consistently and efficiently deliver exceptional property management services. The demands of tenants can be challenging, so we’ll work closely with you to develop strategies, processes and procedures that meet their needs. We offer superlative tenant-retention services that secure unprecedented renewal rates. Our ability to provide the best quality customer service allows our investors to retain tenants at market rental rates, while minimizing lease commission and tenant improvement expenses. We operate as an extension of your business, acting as your local property management, tenant relationship, tenant improvement, construction, and capital improvement division. To most effectively represent your interests, we’ll study your business model, then adapt our services and service delivery to integrate into that model. We’ll successfully manage your property to help you maximize the profit potential of your investment. Operating your property in a profitable manner requires more than just efficient policies and procedures. It demands detailed financial and investment planning. Our budget forecasting will provide long-term valuation enhancement of your real estate assets. We’ll prepare comprehensive forecasting reports that address anticipated revenues, expenses, capital expenditures, and working capital needs. The better we can help you plan for and manage these variables, the more value we can create by utilizing cash resources in an efficient and timely manner. While there are tried-and-true principles of commercial property management, we understand that every client has individual needs and operational procedures that must be incorporated into successful solutions. Whenever appropriate, our management division will incorporate our operations and reporting functions into your existing accounting systems, financial reporting formats, budget formats, and leasing procedures. As our client, you’ll receive services that are customized to meet your specific needs and corporate mandates. Our accounting procedures adhere to the highest standards of transparency, timeliness and accuracy. We deliver data on industry-leading accounting platforms such as MRI, Yardi and Timberline. Our monthly reporting packages include budget-to-actual variance analysis, rent rolls, aging details, balance sheet and depreciation schedules, and bank reconciliation reports. Our national and local team is as deep as you would expect from a well-respected national real estate company. We will ensure your real estate investment is secure and that your tenants’ needs are met. Our managers and smartly uniformed, highly skilled maintenance technicians are available 24 hours a day, 365 days a year. We’ll provide tenant service call response, round-the-clock emergency response, routine preventive maintenance, and other needed property services in a cost-effective manner. Because of our low overhead structure, our labor rates are generally twenty percent less than our national competitors.